Having an antivirus security for your computer is a must when the threats in your system and the Internet are fully capable of jeopardizing your system security. Being one of the oldest antivirus companies, ESET offers some of the widest range of antivirus solutions for your computer system. Let’s have a look at their setup, user interface, features, and antivirus protection. ESET offers online installation where it initiates the setup using a 4.1MB beachhead installer. This installer fetches and installs the main program. Once completely installed, it will ask for an activation code which will ensure the authenticity of the user and the system. Once the software is setup, it will prompt the user for ESET malware-collection program and ask if the user wants potentially harmful programs or adware to be removed from the system. The ESET antivirus is dominated by the company’s mascot and has a bright and functional window. The interface displays “You are protected” as a message if it finds that the system is secure. You will see category headings such as home, computer scan, update, tools, setup, and help and support on the left side of the interface. – ESET offers four progressively strong versions of its software. 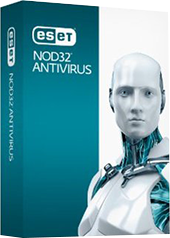 The most basic version, ESET NOD32 Antivirus offers antivirus, antispyware, antiphishing, gamer mode, exploit blocker, cloud-powered scanning, small system footprint, and script-based stack protection. It can work only for Windows Vista through Windows 10 and cannot be bundled with any other platforms. – ESET Internet Security notches up by offering protection against email attachment scans, webcam protection, 2-way firewall, and parental control for Android. ESET Internet Security is offered at around $60 for a single license whereas it will cost you around $100 for a multi-license version. – ESET Multi-device Security pack offers the same features as offered in the ESET Internet Security. It works on Windows Vista through Windows 10 and is the only version that can be bundled with Android, MAC, and Linux, making it one of those few brands that offer protection for Linux. This variant is priced at approximately $80 to $100. – For $80 to $170, ESET provides the Smart Security Premium Antivirus. Although it cannot be bundled with any other platforms, the user can run it on Windows Vista through Windows 10. It provides the cumulative features from the three above-mentioned variants and provides extra features such as file encryption, password manager, and virtual keyboard. It is a multi-license software that lets the user download the software on up to 10 computer systems. The first level checks for known (and unknown) viral signatures that might be lurking in the computer system and on the Internet. Then, based on these viral signatures, it performs heuristic scans for inspecting any suspicious code that might have an underlying threat encrypted in it that might attribute to previous attacks. At level three, if it encounters a software that might be potentially dangerous, it sends the said file to the ESET LiveGrid cloud to examine it further. If found harmful, it brands it as a malware and creates a signature for the same and distributes the information to the company’s nearly 100 million active users around the globe. Although ESET does not offer an exclusive extension for scanning your browser, its network scanner examines all the web pages the user surfs and stops them from stumbling upon any seamier or malicious content. One of the striking exclusions of its antivirus protection feature is that ESET does not offer backup software or VPN. These two are often offered as premium features by rival antivirus software. However, it does offer parental control that blocks websites by category. Although ESET Smart Security Premium, Internet Security, and NOD32 lack file shredder, the ESET Smart Security Premium helps to encrypt files using AES encryption using a 256-bit key. One of the interesting features that ESET offers is, if the user’s computer is lost or stolen, then it helps them track their system using a map and the webcam of the misplaced system. However, it does not allow the user to wipe the system’s drive remotely and the user can track the same only if they have an online account with ESET and if the misplaced system is connected to the Internet. Talking about their performance, the first complete scan of a system by ESET took nearly half an hour, which reduced to 10 minutes once it learned about the nature of files on the system. With its midrange malware protection, the software has the ability to keep a system’s boot firmware from being hacked. It provides almost all the security features that an antivirus software would offer at competitive prices. Visit their official website to know more about their updates, offers and to avail a 30-day free trial of their varied antivirus products.